From the U. S. Census comes this fun little NCAA-brack-style game where you have to rank U. S. Metro Areas by population. On my first go I got 54 right, which seems pretty good. Some of smaller metro areas I wasn’t sure about, and some were downright surprising. I didn’t know, for instance, that Raleigh is bigger than Salt Lake City. You can also play the game with US states, but that seems a little easier and less interesting. Montreal put up a nifty art installation of cartoon-y speech bubble signs. If you’ve ever wanted to voyeuristically watch tourists recreate an album cover, well, uh, that’s a weirdly specific desire. And also now you can. 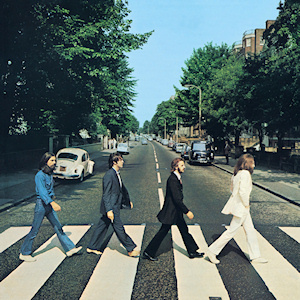 Abbey Road Studios, in London, has a live webcam pointed at the crosswalk made famous by the cover of the Beatles’ Abbey Road.